SAP has reported record fourth-quarter results software revenue of €1.5bn (£1.27bn), up 34% compared with the same quarter in 2009. Software and software-related service revenue was up 27% on the previous year to €3.26bn and total revenue for the quarter was also up 27% to €4.04bn. "We are pleased to announce the best software sales quarter in the history of SAP. We achieved outstanding growth in all regions and customer segments," said Bill McDermott, Co-CEO of SAP. 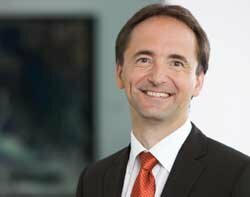 "This result is clear proof that focusing on innovation and customer value is the right strategy," said Jim Hagemann Snabe, Co-CEO of SAP. SAP's strong results reflected a boost in the software market in the past year, according to the Financial Times, as companies in emerging markets, the US and parts of Europe made investment to support their economic recovery. SAP reported software revenue for the full year of €3.26bn, up 25%, and software and software-related service revenue of €9.78bn, up 19%. Total revenue for 2010 was €12.45bn, an increase of around 17%. SAP said the company had not yet completed its preliminary review of the appropriate re-measurement of the provision recorded for the TomorrowNow litigation following the $1.3bn damages payout to Oracle ordered in November 2010. The expense resulting from this re-measurement affects SAP's operating margin, so the company does not yet have available and cannot yet disclose preliminary fourth quarter and full year 2010 profit and operating margin numbers, it said. SAP said it would provide further details of its 2010 preliminary results and outlook for the full-year 2011 on 26 January. It has also not announced whether it will appeal against the verdict in the TomorrowNow case: in November, the company said it was considering its options.